Mumbai (PTI): The Sensex fell over 154 points and the Nifty went below 9,500 in the beginning on Friday as the July derivative series took off on a negative note amid anxiety ahead of GST rollout. Capital outflow by foreign funds and weak global shares only added to concerns. Investors kept their fingers crossed ahead of the landmark tax reform Goods and Services Tax (GST), which is set for a mid-night launch on Friday. 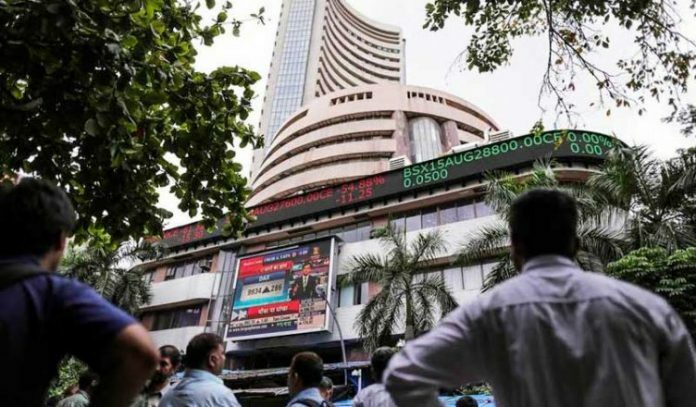 The 30-share Sensex tumbled 154.23 points, or 0.50 per cent, to 30,703.29. It had gained 23.20 points in the previous session though. Realty, capital goods, auto, banking, metal and consumer durable stocks dealt a blow, falling by up to 1.55 per cent. The 50-share Nifty hit 9,460.20, down 43.20 points, or 0.45 per cent. The July futures and options (F&O) series saw a bumpy start amid a weak equity trend in Asia, tracking losses in the US. Hong Kong’s Hang Seng was down 0.90 per cent, Shanghai Composite 0.26 per cent and Japan’s Nikkei 1.09 per cent. The US Dow Jones Industrial Average ended 0.78 per cent lower on Thursday.